The Brexit 'march to leave' has arrived in Linby today (March 23) on its 270 mile tour from Sunderland to London. 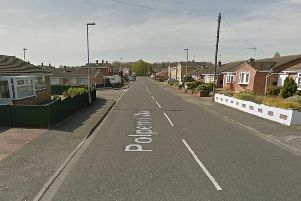 The 14 day march began in Sunderland on Saturday, March 16, and will end in London on March 29. Angry rows broke out as the march started in Sunderland, with several counter-protesters assembling to get their views across. 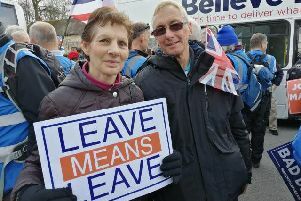 Nigel Farage has re-joined on day eight of the march - the MEPs first outing since his announcement he would be taking over as leader of the newly established Brexit Party. Starting at the Horse and Groom pub in Linby, day eight of the march will see pro-brexit campaigners represent the 17.4 million voters who want to leave the European Union. We will bring you further information as the march progresses.